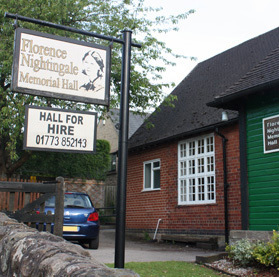 We meet at Florence Nightingale Memorial Hall in Holloway for our Wednesday Club evenings. See link below for the Playford Ball. Holloway is in the centre of Derbyshire, a few miles from Matlock, Cromford and Crich, and not far off of the A6, 17 miles North of Derby and 10 miles from the M1 J28. The postcode is DE4 5AQ, and look for the small grass triangle in the village centre. 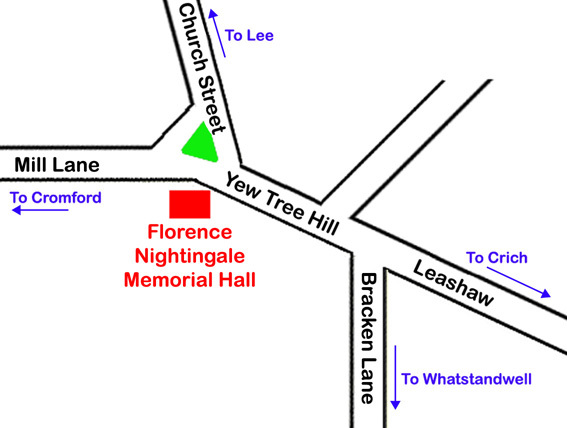 There is no car park, but plenty of on road parking is available, in front of the hall and around the triangle. From A6 South (Derby and Belper), turn right at Whatstandwell (where the A6 turns left across a bridge, by The Family Tree Restaurant), B5035 towards Crich, after 100 yards turn left along Robin Hood Road, which becomes Leashaw Road and then Bracken Lane, a narrow country lane for 1½ miles eventually going up a steep hill into Holloway. At T junction at the top of the hill turn left, and the hall is 200 yards downhill on the left. 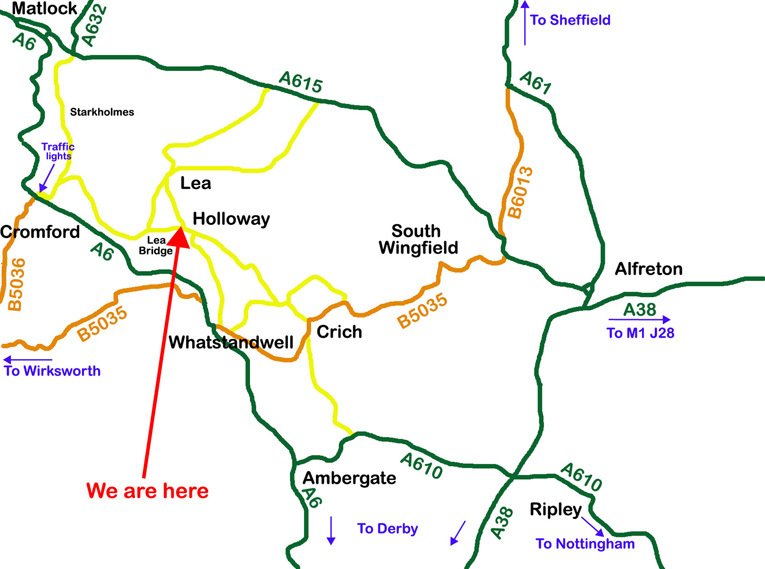 Alternative route from Derby: Use A38 North, turn left onto A610, and then right at Bullbridge to Crich. From Nottingham use A610 past Eastwood and Ripley to Bullbridge and turn right to Crich. From the centre of Crich it just over 2 miles to Holloway. From A6 North (Matlock) turn left at the traffic lights at Cromford, past Cromford Wharf, and continue on through Lea Bridge and then up the steep hill to Holloway. The hall is on the right. Distance from the A6 is 2½ miles. 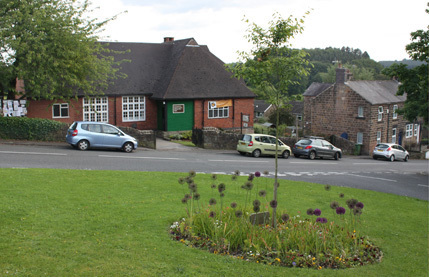 In all cases look for the small grass triangle in the village centre, and the hall is adjacent on the South side.